Tinted moisturizers are something new for me. I've heard about tinted moisturizers since I was in junior high but never tried any of them. So when Urban Decay have this huge discount on HauteLook and left this tinted moisturizer under $10, I decided to order it (trough Female Daily's Market Plaza, of course). The moisturizer came in a purple box with the shade name on top of the box. The print inside the box is very pretty. It reminds me of fresh leaves in a forest with rays of sunshine. The tube contains 50ml of product which I think quiet a lot. I didn't read the full description on the site so I thought it will be the size of foundations, which usually around 30ml. The tube is sealed, so it's nice to know that the product inside is safe and secured. I bought the shade Bodyguard. I think I'm NC20-NC25 on MAC but that might be wrong haha but I guess I'm around that range. Christine of Temptalia said that Bodyguard will fit NC25 so I bought this particular shade. I feel the shade is a bit too dark for me. My face looks darker whenever I use this. I guess it'll fit NC30 better. I have oily skin and this moisturizer doesn't make my face oilier. It doesn't help to hold my sebum too tho. It doesn't break me out but I can't say too much about this because my skin is not acne-prone. Coverage wise, I'd say it has none. After a while, I realized that this is TINTED moisturizer after all, not foundation nor bb cream, so it tints (is it the word? tints? so not common, eh?) and gives glow (nice glow, not greasy glow) to the face. This will be perfect for those who just start to play around with makeup or those who have nice skin and doesn't need coverage. With SPF20, I think this moisturizer is very practical because it means I don't need to use another sunscreen because my activity is mostly indoors. Just for a little note: it dries down quickly so you need to spread the product a lil bit fast. Urban Defense Tinted Moisturizer is available on Debenhams UK (£20, International) and Bestie Beauty (Rp160.000, Indonesia). Took the photos a long long time ago and thought about posting them right away but I'm distracted by laziness and other random things so.. you know the rest of the story (yes I forgot about them). One thing I wanna share with you all about the dress.. It's freaking $10!! OMG The Goods Dept has best discounts! Can't wait for more discount events. I'm thinking to get this Nikicio bag, what do you think? This is the entry I posted to Clozette Daily's Contest that surprisingly won the runner up position. I wanted to try the hang-in-there blazer look because it's so in right now and I once read someone wrote, "the best way to use a blazer is not to use it properly". I thought the blazer would slip away just in a blink of eye but actually it's not. As long as there's no extreme moves like lifting your arms higher than your shoulders, it should be ok. It's not the most practical way to use blazer of course, but it's not as difficult as it seems. 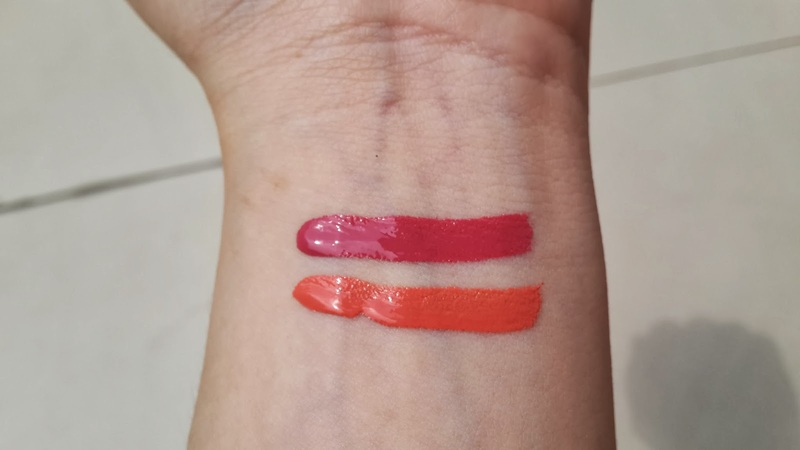 I've been eyeing on Rimmel Apocalips lip lacquers since forever. 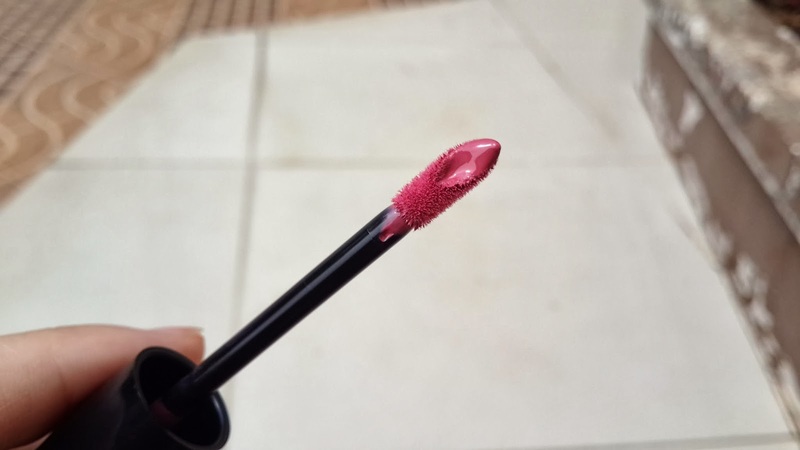 Many beauty bloggers and vloggers swear by this lacquers so, I, as self-proclaimed lipstick hoarder, feel the need to try them too. The main problem here is how can I get them? 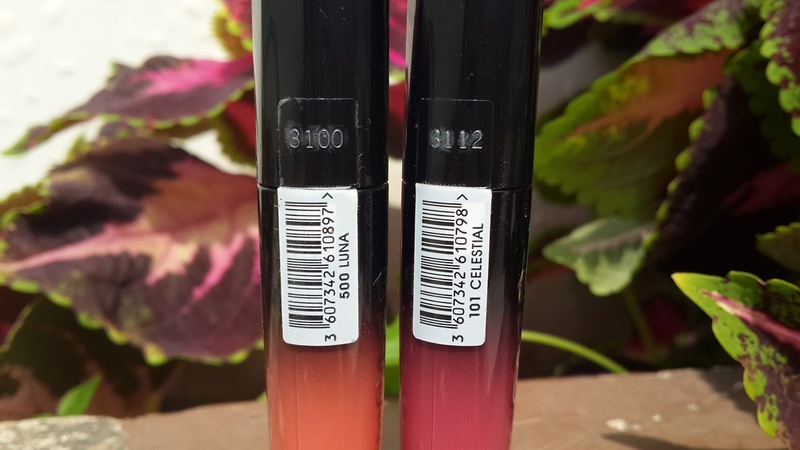 Indonesia doesn't have Rimmel counter and it's hard to find online shops that opens UK pre-order (the lacquers were only available in the UK at that time). So I cry in despair. No, just kidding. I just simply forget about them and then suddenly they're available in the US!! US pre-orders are easier to find and I already have some fave online shops so I bought two of them. I got two because there was a buy one get one free promotion somewhere on wallgreens or drugstore.com or somewhere i totally forgot. I chose the shade Luna and Celestial. 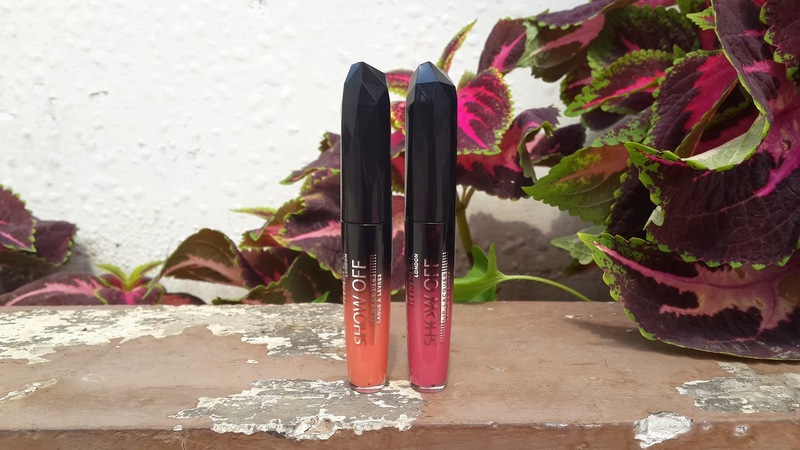 The US version of Rimmel Apocalips are called Rimmel Show Off. I don't know why they changed the name. I think Apocalips sound better but yeah whatever, still the same thing. The packaging feels nice and sturdy, not cheap plastic-y material. One thing that may bother some of you is the lacquers is not sealed. But you can tell if the ones you got is new or not by looking at the gap between the container and the wand. You see there's a clean gap on my Luna? That means the lacquer is new. When you pull out the wand for the first time, the gap will be filled with product so it's not clear anymore (please refer to Celestial). The wand is a little bit different with the usual doe-foot applicator. It has a little 'well' that holds up some product there. It's nice because I don't need to double dip as the product on the wand is enough to cover my whole lips. The consistency is nice. It's not too thick and it's not sticky. The pigmentation is insane. I believe even the lightest shade can cover pigmented lips. But being insanely pigmented doesn't mean that it will last long. These lacquers stay about 3-4 hours on me with a little bit of drink. They don't leave stain at all, but maybe because mine are light shades? I think bolder shade like Big Bang or Apocaliptic would leave some pigment behind. Both Celestial and Luna does not have shimmer or glitter. For the finish: freshly applied, they look very wet. After a few minutes they will lose most of the shine but still too shiny for my liking. I prefer my lips matte so I blot them with tissue. I think the scent is not nice but my sis thinks it's nice. 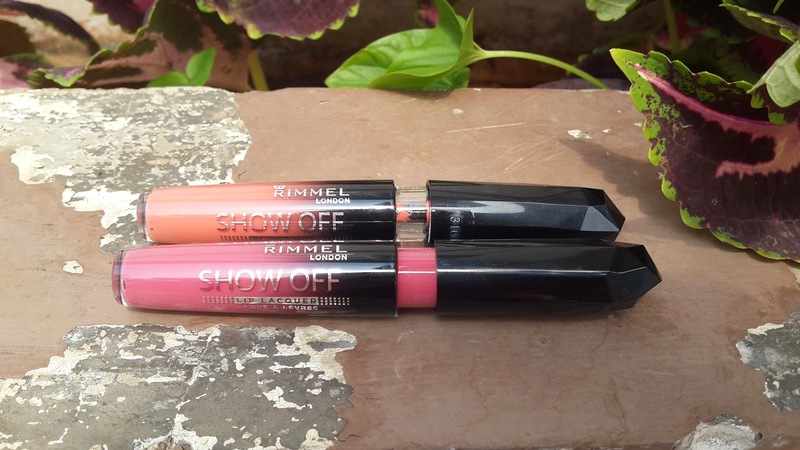 Rimmel Show Off lip lacquers are available on most of American drugstores. For anyone who's ever had trouble starting, keeping, or finishing a journal or sketchbook comes this expanded edition of "Wreck This Journal, " an illustrated book that features a subversive collection of prompts, asking readers to muster up their best mistake and mess-making abilities and to fill the pages of the book (or destroy them). Through a series of creatively and quirkily illustrated prompts, acclaimed artist Keri Smith encourages journalers to engage in "destructive" acts--poking holes through pages, adding photos and defacing them, painting pages with coffee, coloring outside the lines, and more--in order to experience the true creative process. With Smith's unique sensibility, readers are introduced to a new way of art and journal making, discovering novel ways to escape the fear of the blank page and fully engage in the creative process." Journals are never my thing. But this journal by Keri Smith is not ordinary journal. This journal needs to be 'wrecked' and I think it will be fun! I bought the book from Periplus bookstore in Lotte Shopping Avenue.